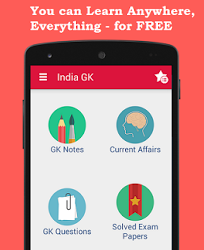 29, 30, 31 May 2017 Current Affairs MCQs, Quiz, Questions: Current Affairs for May 2017, Daily Multiple Choice Questions (MCQs) for India GK, World GK and current affairs with Collection of daily objective type Question by www.Indiagk.net based on General Knowledge (GK) and General Science (GS) Questions for UPSC, State PSC, SSC, Police exam, Railway exam, SBI, Bank PO, IBPC, SSC, LDC, UDC, Army, Airforce, Navy, Coast Guard, Bank Clerk, TET and all entrance examination with current affairs News, Multiple Choice Questions (MCQs) available on Website www.IndiaGK.net and Android Apps with daily updates:. Which metro rail starts Heritage line on 28th May 2017? Cyclonic Storm ‘MORA’ on 29th May hits which country ? Indian PM Narendra Modi leave for 4-nation visit to which continent? Who will lead the toilet usage campaign “Darwaza Band” ? PM Narendra Modi on 31st May held talks with Mariano Rajoy. He is President of which Country? Who is appointed Chairman of National Commission for Scheduled Castes?